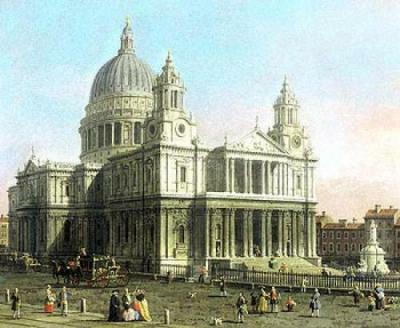 Sir Christopher Wren's St. Paul's Cathedral in London is celebrating its 300th birthday today. Of course, at 300 years old, St. Paul's is a youngster among England's great churches and cathedrals. Nevertheless, her caretakers decided she was in need of a little makeover, so today also marks the conclusion of a 15 year restoration effort. I'd say she doesn't look a day over 200.